First of all, my name is neither Judy Mclane nor Lucy McLane. I am using this pen name to keep my anonymity so I don’t jeopardize my hard earned employment with Uber by giving you all these free insights. So, yeap, I work for Uber. I am a new employee though. I have only been working for them for a few months now. Just a super quick brief about us, Uber was founded in 2009 and since then has only experienced massive growth. As of August 2016 we operate in 545 cities worldwide, in over 66 countries! We have over 6,700 employees and that number just keeps on rising, and you could potentially be joining that number. Fingers crossed! Despite being such a big, global company, Uber has worked to keep feeling like a small network, with every employee counting. I can tell you from first-hand experience that it is great to work for a company that values you as an individual. 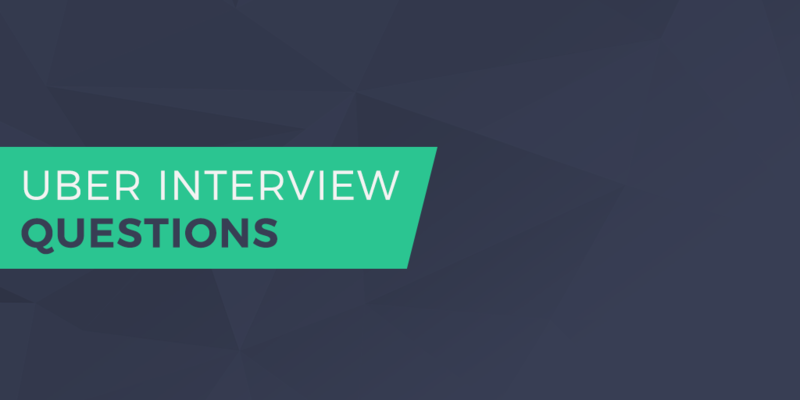 Today, I am here to tell you about the process for applying for a position, the interview questions and stages, some Uber terminology that will help you in your interviews with Uber, and working with Uber. Just a short clarification, my advice is not for those who apply to Uber as a driver partner. There are positions that range from marketing, business to creative etc. As mentioned above, I am a new employee with Uber so I have only recently gone through the interview process myself (a couple of months ago) and therefore the process is still fresh in my mind. I want to pass on this knowledge to you, as a potential candidate applying for a position at Uber. The interview process with Uber can seem quite lengthy compared to other interviews you may have had in the past. Below, I have described the stages of the interview and what sorts of questions you may be asked. After you have gone through these stages, you will hopefully then have an offer. Each of these stages above will entail a different type of preparation, for example; a phone interview and panel interview are very different experiences, and you will be asked different sorts of questions. We will touch on these questions in a moment. If you want to work for Uber, it is important for you to be prepared for each stage and to know what will be expected from you. Also, this process can take a few weeks to complete as there are a few different stages. Just be prepared. Don’t expect a lightning speed in the interview process. It took me almost a month to soldier through all these stages. This is a good thing because you will have plenty of time to prepare for each stage. So now you know what stages you have to go through, I am going to give you a little bit more information about what questions you will be asked in the interview separated in stages. These were “Why you?” and “Why Uber ?”. I wasn’t exactly asked these questions outright but this is what the interviewer was trying to find out. “Why You” is essentially the same question as “why should we hire you”. They wanted to make sure I have the qualities and skills for the position I had applied for. They also asked “Why Uber?” because they want to understand what I knew about the company and if I was motivated to work with Uber. This is huge! You really need to show you are dying to work for Uber. As if Uber is the only company you want to work for in the World… So, I pampered their ego a bit. I suggest you do the same. The interviewer also asked for my relevant experiences that I could bring forward to the role I was applying for. As answers, I mainly just gave out examples from my past. These are classic interview questions that you have probably answered in the past or would expect from the interviewer. There wasn’t any question I didn’t expect in the interview. How would you sign 100 additional partners on board? Let's say there is an ambitious competitor and they would like to have all these buzz-worthy partners on board. In fact they signed most of them with exclusivity clause, how would you convince these partners to join Uber? These questions can be challenging because you have to really know about Uber and how we work here. So, you need to know the operational model, KPIs we use, and the terminology. That’s why the first thing I did after joining Uber was to update my course to make sure they are as detailed as possible. Only after joining did I realize that I missed out important things in my interview. What you need is research into the company so you know how to answer these questions. Visit Uber’s Newsroom to get as much insight as possible and pick up their KPIs and terminologies. This interview is really a ‘get to know’ but also with a bit more of depth to get to understand your processes and how you think. I already said it a million times, but try to use Uber’s terminology at this stage. It’ll significantly help you transition to the next stage. Before I give you more details about the test, let me tell you this. I am an MS Excel Jedi. I am one of the best there is. I used to be an auditor at one of the largest audit firms in the World so I was able to develop my Excel skills at a very young age. Why am I saying this? Well, if you are only “just good” at Excel, I guarantee you that you will fail this stage miserably. You will run out of time trying to organize and formulate your pivots. While I was developing my course, at the time, I didn’t actually receive an offer from Uber, I was thinking how best I can teach you to pass this test. Then I realized that I can’t. Nobody can. The only thing I can, however, do to help you pass is simply sharing the Excel CSV files I developed for the test. As long as the test is the same version, Uber Analytics Test V3.1. my answers will be the correct ones. I know it because I scored 95%. By that way, you can simply copy paste the answers, formulas, everything while you are taking the exam. So, by purchasing my course, you will have access to all those excel CSV files that allowed me to pass the exam with ease. In this blog post, I really don’t want to delve into the Uber analytics test Version 3.1. that much. It’s because it’s just not possible to explain it here. It would take up a 100-page book. But in simple terms, you will be asked a total of 32 questions that will challenge your analytical and MS Excel skills to the max. UberRUSH is the fastest, most reliable way to do local on-demand deliveries. Users can tap into Ubers instant delivery network to request, track and manage multiple deliveries at the same time. To fulfill demand for delivery and make UberRUSH a reliable service, we need a large supply base (aka many Uber driver partners who will pick up packages and deliver them) such as bike messengers, vans or trucks. In a city of your choice, write a paragraph about how would you identify, pitch and convert new forms of supply to help UberRUSHs growth. Please target a specific supply base. If you passed the 2nd stage Uber analytics test, then congratulations! You are an Excel Jedi too. Now, the second interview (3rd stage) was mostly about the presentation I had made (as I mentioned earlier). I was asked pretty much the same sort of questions as mentioned above in regards to my presentation. When the interviewer asked the questions, he did sometimes alter different parts of the data so he could test my analytical skills. This interview stage for me was very much about how I would deal with different problems that may occur within my job role. By tweaking the data they tested whether I was able to apply analytical experience which they would need in my job role. What would you do if you know your GM is wrong about a problem and you know the solution by heart? Would you go to Head of the region and tell them you have the answer but the GM is not listening? A driver/customer is about to be lost to a competitor, what would you do? How would you set-up a new business in a different city than yours within 14 days? What is your leadership style?" "What are your weaknesses at work and personal life? I was asked these questions so that the interviewer could get an idea of how I would fit in with the company and with existing employees. It also gave them a chance to see how I would handle potential problems within the work environment and also in the sense of the business. The interviewer also asks about my weaknesses as they want to make sure you can admit you have weaknesses but also that you can handle these and you won’t let them spiral out of control. So, as you can see the questions I was asked were to see how I would deal with certain situations that are likely to come up in my position and whether the way I think is suitable for the company and how they work. Obviously, you would be able to learn more once you have the job and you aren’t necessarily going to have a perfect answer to these questions at this stage. However, this is a chance for them to see if you are on the right mind track and have the potential to grow and adapt with the company if you are offered the position. Try to give as many examples as you can. An example is a proof that you have done it before and that you can do it again. If you have come all the way to this stage, congratulations! You are about to get the job. I hope you just don’t screw up when you are just so close! Alright, without further ado, here are the questions that I was asked in the panel interview. In my case, I had 1 person from our UK office, 1 from France, and 1 from the region. I was in the office with the regional representative and the rest were on video conference. The interview started really well as they were quite impressed with my analytics test results but later on, it got really intense. All in all, the interview took a little over 2 hours. Uber is launching to a new city without an office there. How would you make the drivers in this remote city feel equal to other drivers? How do you convince a driver / a restaurant partner to go to a higher rate? How do you convince a driver to go from UberX to UberBLACK? Why don't taxi drivers like using credit cards? What is the difference between UberSELECT (also known as UberX) and UberPOP? How are you going to scale supply? Assume you have to get 100 drivers in a city, how do you get them? What about next 1000? What KPIs would you use to assign new drivers? What KPIs would you use to rate your customer service agents / sales representatives? Tell us about an app feature that you would like to be fixed and how you would roll that out from a drivers perspective. Although I was asked these questions at the panel interview, I am told that these are also asked in the first pre-screening interview from time to time. So, don’t you go about thinking that you don’t need to study these until the final interview. There is really no 1 single right answer to these questions. But there are so many wrong answers. In fact, I found out from my manager that I actually gave quite a wrong answer for one of these questions. But because I was so strong at analytics test, they said it’s not the end of the world that I got one question wrong. Essentially, with these questions, the interviewers are trying to find out how my mind works and how I would tackle or solve any common issues the business may face – for example, making sure all drivers feel equal. Also, they asked questions about the company specifically – such as what is the difference between UberSELECT and UberPOP as this gives them a chance to see how much you really know about Uber and if you seem to be passionate about working for them, rather than just trying to get a job anywhere. You need to make sure you have researched Uber as a company and you know how the business is run. For example, you need to be aware of the different types of Uber options for driving, such as UberX, UberRush, UberEats, etc. This will demonstrate that you have an understanding of the company and you have a passion to learn about it before even getting the job. It may be useful to actually use Uber for a journey or two so you understand the process of booking an Uber, and how the drivers operate. I did and I learned a few things. A big plus for you would be to research the differences between Uber and other ride-hailing firms (like Lyft) as this can help you answer questions regarding how you would compete with other firms and so on. I want to emphasize on this one a bit. 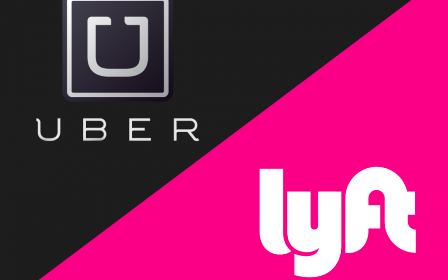 Uber is really really concerned about Lyft… So, do your homework. I would also recommend being familiar with the app when using Uber as a customer. One of the questions I was asked was what I would suggest improving the app (as I mentioned above). The interview really is designed to test what you know about Uber, how you fit in with the company and what you can bring if you are offered the job. I believe it is very important to keep this in mind as you answer each and every question. Before my interview, I did exactly as described above. I had already used Uber a few times (which is actually what made me apply to work with the company!) but I also researched as much as I could so I could portray this information throughout each stage of the interview process. So this is the process that you will go through once you apply to work with Uber. If you are wondering how it’s like working for Uber, let me tell you that it’s really challenging but very rewarding at the same time. Rewarding in the sense not only financial but also psychological. You feel a sense of belonging to the organization. It’s a truly amazing experience. I have been with them for a short time but they have made a big impression on me. Although the company is growing so fast – which is amazing to experience itself – they try to make it feel small and that everyone is an important cog in a well-oiled machine. There is no sitting at your desk, watching the time tick by whilst you are bored out of your skull. At Uber, every day is an exciting challenge and it really is a rewarding company to work for. As I mentioned above in regards to some of the questions, Uber look for people who fit in with the rest of the company. If you are looking for somewhere to work where your ideas are valued – no matter what position you work in – then Uber is the place for you. If you have a good idea, you will be listened to and you get the credit you deserve. So now you know what the Uber interview process entails and what the interviewers are looking for. All this information is from my first hand, personal experience. This gives you the general idea of what you need to be prepared for. Now, it’s time for you to start preparing and you are on your way to a career with Uber! All that’s left for me to do now is to wish you a Good Luck! And finally, I strongly recommend you join my Uber Interview Course to “almost” guarantee your placement at the company. I share with you EVERYTHING in the course, all the questions, the right answers, MS Excel CSV files, PPT presentations, etc. There is nothing remaining that I haven’t included and I updated it many times after I joined the company to make sure it includes all KPIs and terminologies to give you the edge. Oh, the course is not some silly pdf document. It’s an actual 2-hour long video course with the downloadable material. Join here. See you on the inside! 4 replies to "Uber Interview Questions – #1 Guide In The Internet"
Do you think the analytics course that you developed apply to other job functions? For example, the tax department? Awesome work! Thanks a lot. I’ve also just joined your program. It’s very rich. I have a few questions about excel. I’ll just e-mail you if that’s ok.